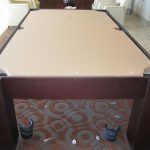 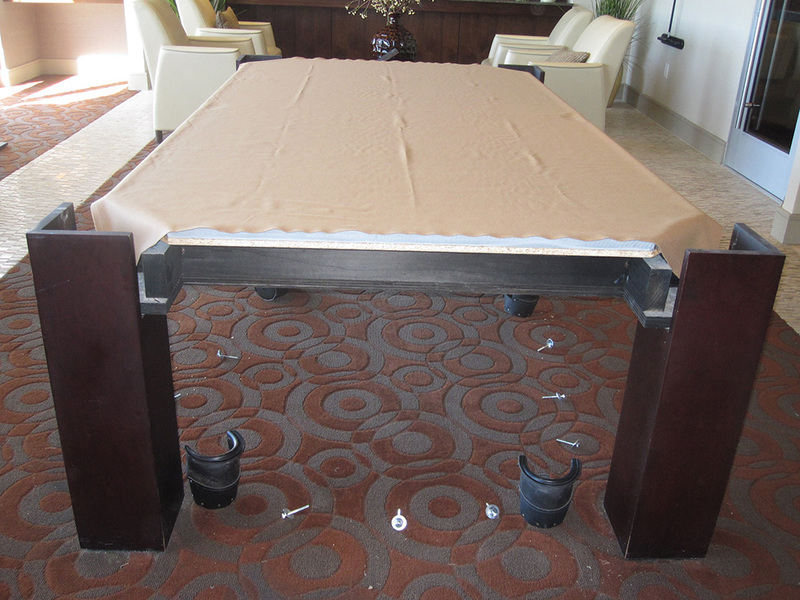 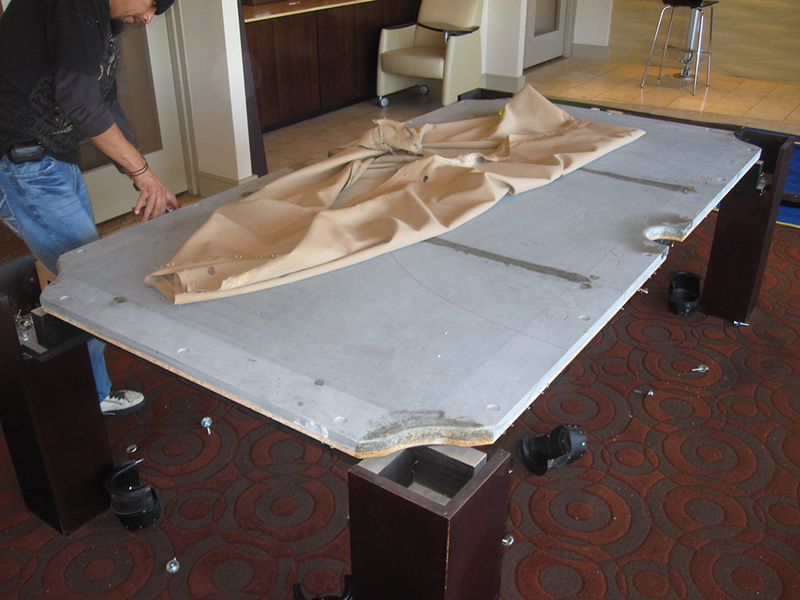 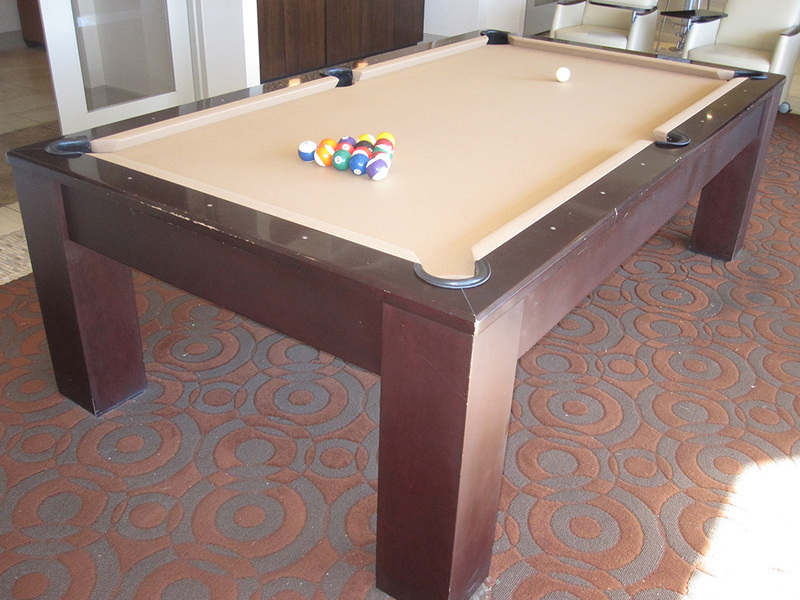 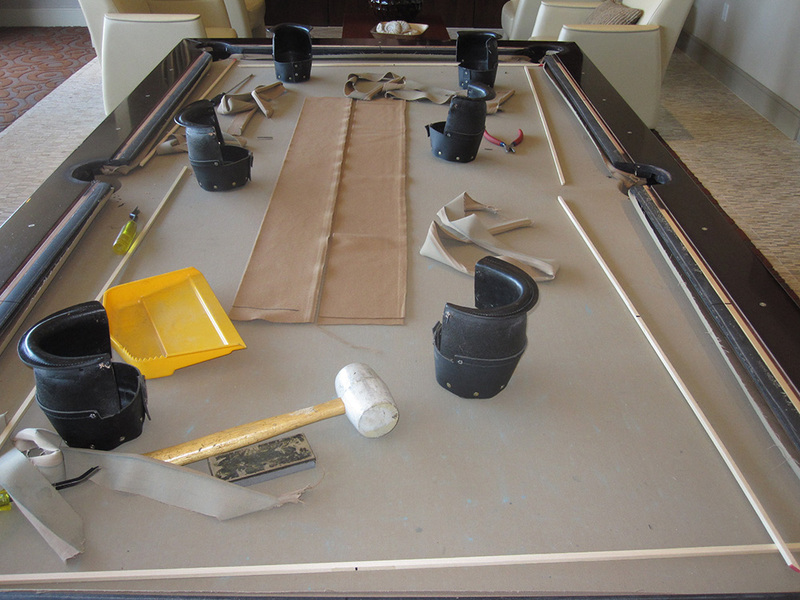 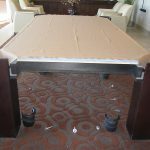 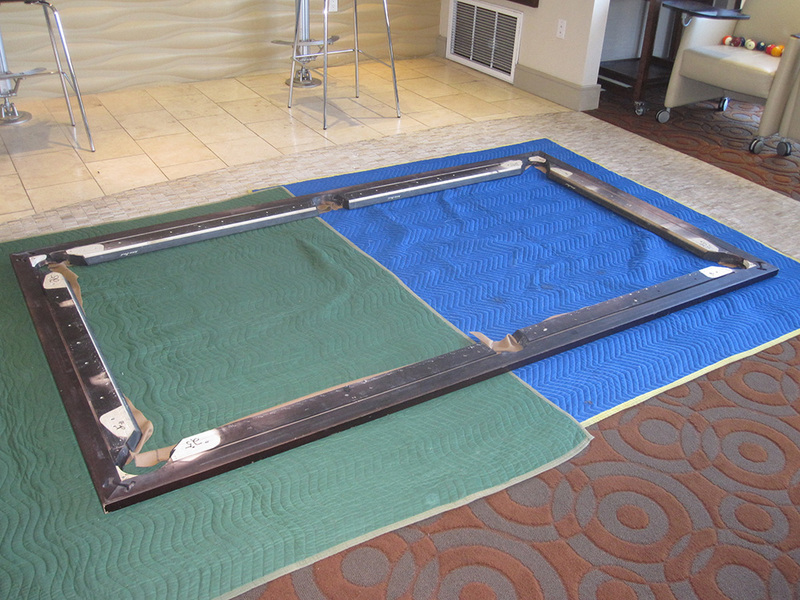 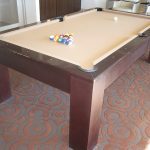 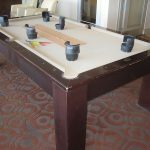 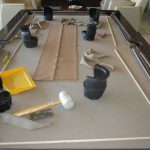 We recently were hired to refelt this Eight foot Olhausen modern style pool table. 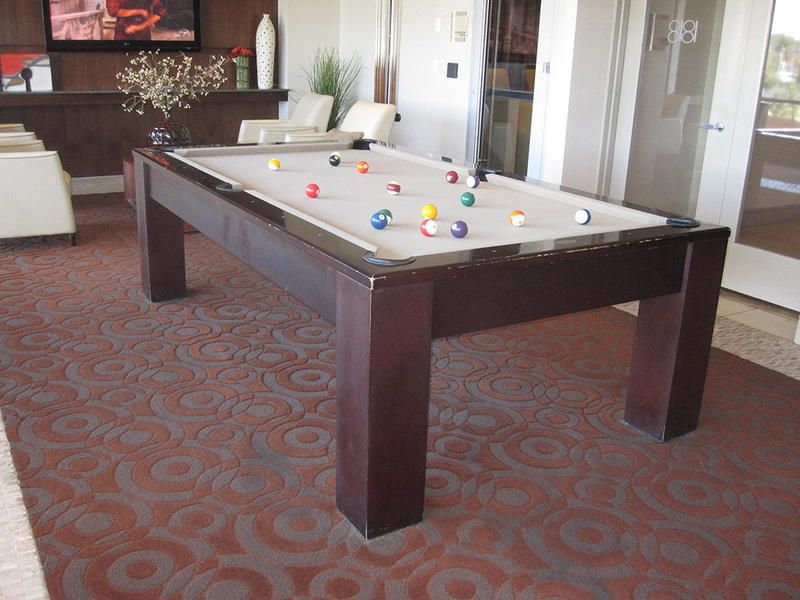 Located inside the posh, new Platinum Triangle Apartments in Anaheim, CA. 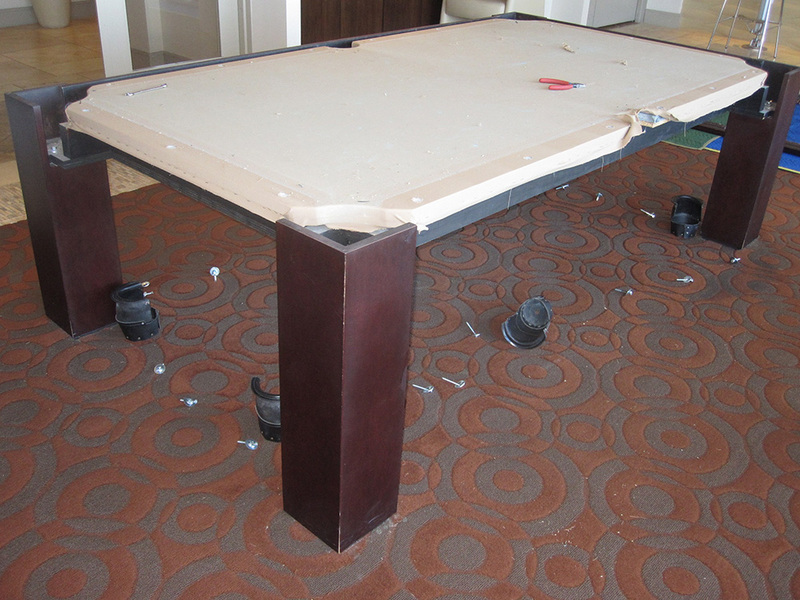 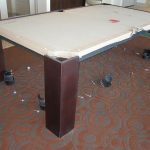 This a before and after look at this refelt job in the second floor game room. 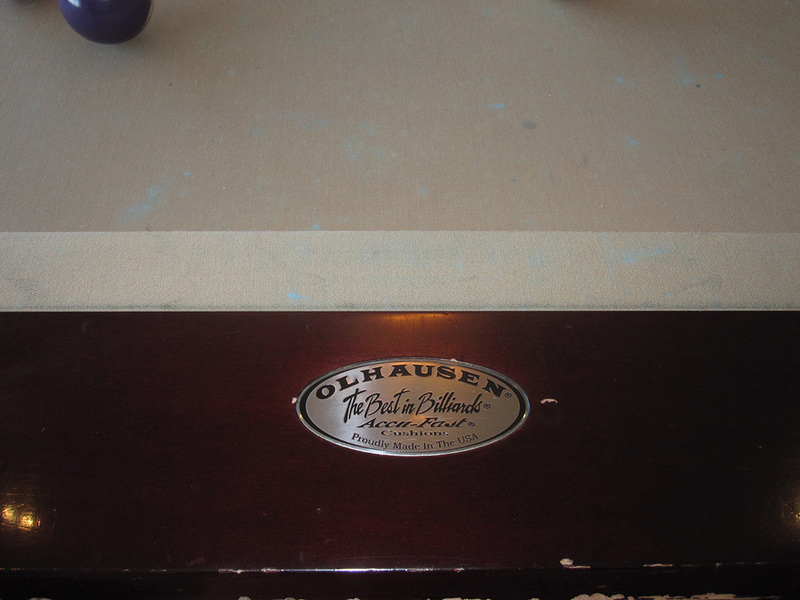 This time I’m hoping they won’t allow the use of blue billiard chalk. 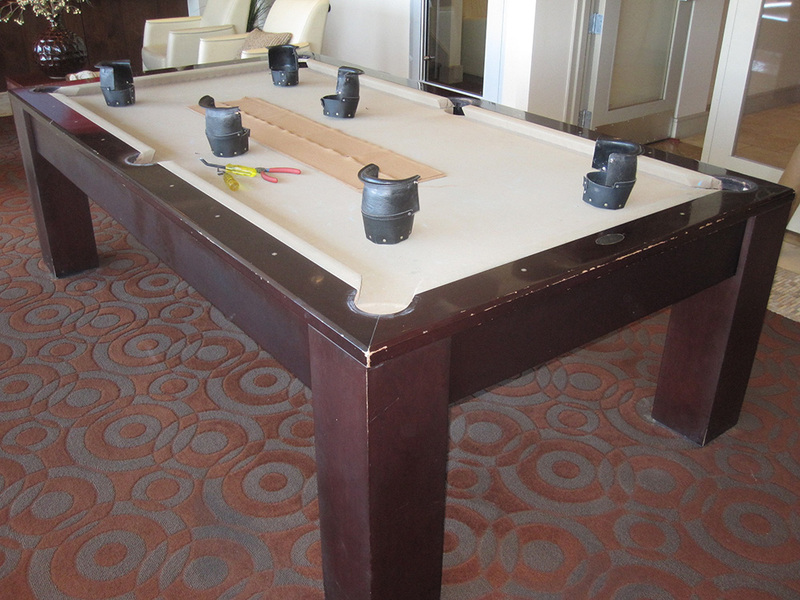 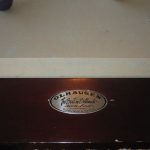 The old felt wasn’t really worn out as much as it was stained with blue cue chalk. 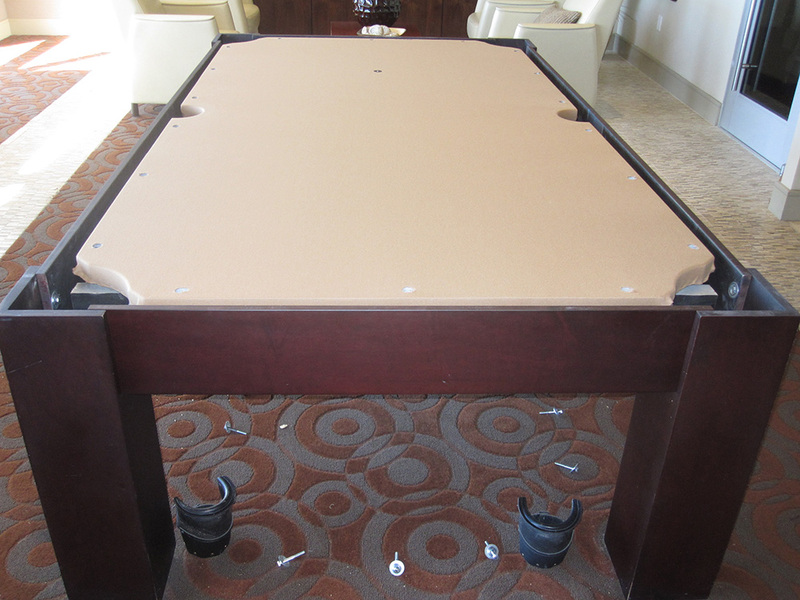 I left them with some new camel colored chalk, let’s hope the residents use it!